Engr. Sahimi has been in the real estate development, project management and consultancy industry for 28 years. He is now the Development Director for EQDMS since July 2016 where he is involved in providing development advisory services for integrated mega projects such as the King Abdul Aziz Road and Thakher City in Makkah, Saudi Arabia. He has been operating in Saudi Arabia for the last 7 years since August 2009 primarily with the Jabal Omar Development Company as the Deputy Development Director for the Jabal Omar Project in Makkah, Saudi Arabia. Before that, Engr. Sahimi was working as a Project Manager when he was with KLCC Projects Sdn Bhd (KLCC), Kuala Lumpur, Malaysia from 1993 to 2009. With KLCC, he has been involved in several integrated developments throughout Malaysia, which include the Kuala Lumpur City Centre (KLCC) Development, the East Coast Economic Region (ECER) and the Universiti Teknologi PETRONAS (UTP). Earlier in his career, Engr. 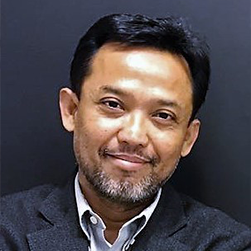 Sahimi worked as a Structural Engineer with HS Liao SB, Malaysia from 1992 to 1993 and the Minges Associates, Connecticut USA between 1988 and 1992. He obtained his BSc (Hons) in Civil Engineering from the University of SW Louisiana, USA in 1988 and his MBA from the University of Leicester, the UK in January 2016.